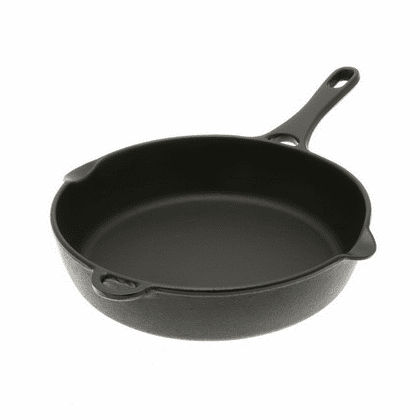 Iwachu Cast Iron Frying Pans, 8-1/2" or 9-1/2"
Home | Cookware & Kitchen | Iwachu Iron Cookware Made in Japan | Iwachu Cast Iron Frying Pans, 8-1/2" or 9-1/2"
Easy to pour oil or liquid from two spouts. 14-1/2 inches long, 8-1/2 inches in diameter, 2 inches tall, 4.15 lbs. #410680, $60.95, Sale price $54.95. 16-1/4 inches long, 9-1/2 inches in diameter, 2-1/8 inches tall, 4.9 lbs. #410681, $84.95.